A heart warming children's book written by a military parent for military parents and their children. This book attempts to build a bridge from deployed service member to child and let the child know that though duty calls, and Mom or Dad may not be home for awhile, the child and service member are Never Far Apart. 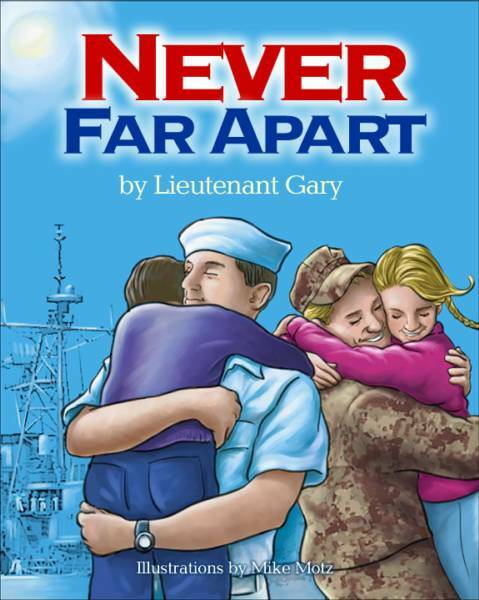 You can buy this heart-felt book by Lt. Gary by visiting Never Far Apart. Best of all, you receive a great deal while benefiting CAFC since a portion of book sales will be donated to CAFC! 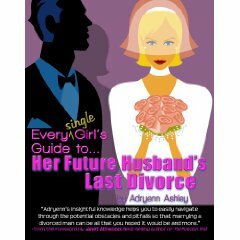 Award winning filmmaker, parallel entrepreneur and unabashed author Adryenn Ashley achieves the impossible: using laugh-out-loud humor she delivers essential financial and legal information so effectively, you actually get it.. Read more on our resources page here. Best of all, you receive a great deal while benefiting CAFC since a portion of book sales will be donated to CAFC! Domestic Violence Training DVDs Now Available! Here are some Reviews from the training conferences these DVDs were produced from. The video is a short sample from some of the first 16 videos we produced. We expect to get an updated sample video soon with some clips from the remaining 20 DVDs soon. Also see the high-resolution version in MP4 format (size: 35 mb). Download may take several minutes. Apple's free Quicktime player is required for viewing.